What a great idea. Happiness Workshop! 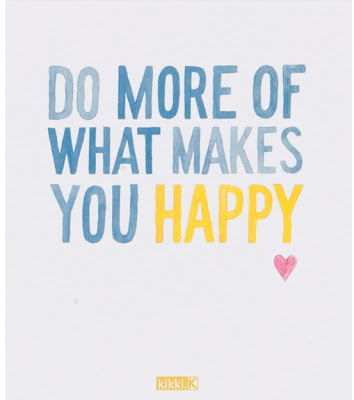 Recently I went into a Kikki K store which sells gorgeous stationery, and they were running workshops on Happiness. I thought this would be a great way for me to start the New Year. Not really knowing what to expect I signed up, and I was pleasantly surprised. The Happiness Workshops are for 1 hour and you have to book at a Kikki K store which runs them. You can find out the session times on their website. Cost is $39.95 and includes a complimentary "Happiness" journal RRP $39.95. So literally the cost of the workshop is free. The workshops are run in store, so they section off a part of the store. The session I attended had 10 other lovely ladies. Our consultant was Emma who was bubbly, friendly and really easy to get along with. 2. Self rate where you are now checklist. 3. Reverse bucket list. Writing down all the wonderful experiences you've had in your life so far. The exercises are done individually and it’s up to you whether or not you want to share your thoughts with the rest of the group. That's what I thought was great about the whole experience. There was absolutely no pressure to share (or not share) your answers to exercises. It was completely up to you. I got a real buzz from the Happiness Workshop and lots of great tips on how I can implement little changes into my life, so that I can get more out of life and appreciate each day. In short, this means changing my life, without having to change my life. Some of the tips which I learnt were: Making a note of two good things that happened to me each day; and making a mental snapshot throughout the day of the little things I enjoyed. This helps with being able to live in the moment, and only takes a couple of minutes each day to do (so there are no excuses, even for those who are flat out busy!). Participants were offered 10% off the priced of full priced items in store, at the end of the session which were purchased on the night. "Happiness is yours to treasure, not for others to measure".